We've just launched a new PennSound series page for KFPA's groundbreaking radio program, In the American Tree, and added five new episodes. The first, from November, 1978, features hosts Lyn Hejinian and Kit Robinson interviewing Alan Bernheimer, who would take over hosting duties for the 1979-1980 season. From 1979, we have readings and discussions with Michael Waltuch, Robert Harris, Stephen Rodefer and George Mattingly. Clicking on the title above takes you directly there. These broadcasts join a 1978 program featuring Ted Berrigan, which we highlighted several weeks back in honor of the poet's birthday. A recording of Berrigan's poem, "3 Pages (for Jack Collom)," from that show will also be the focus of the upcoming fifth episode of the PoemTalk podcast, hosted by PennSound co-director, Al Filreis. Transcending the boundaries between genres, Gregory Whitehead's work — which can be alternately described as sound poetry, musique concrète or radiophonic experimentation — explores the structures, rhythms and timbres of human speech via tape delay, audio palindromes, static, collage and the lo-fi degradation imposed through technological mediation (the telephone handset, weak signals, tinny speakers), creating highly recursive pieces reminiscent of certain works by Laurie Anderson, John Cage and William S. Burroughs. Often as lucid as they are obfuscated, as soothing as they are disturbing, Whitehead's soundscapes make for compelling listening, and we are glad to be able to present his work. PennSound has just added a 53-track retrospective of Whitehead's work, along with at 2002 Segue Series "reading" at the Bowery Poetry Club, during which the artist offers some insights into his creative process. Clicking on the title above takes you directly there. This Segue Series reading by Douglas Messerli at the Ear Inn has recently been split into singles and added to his PennSound author page. Recorded March 17th, 1979, it features a number of poems from Dinner on the Lawn (Sun and Moon, 1979), including "The Tides," "Off Frogwanod" and the title poem, "Dinner on the Lawn." Another highlight from the reading is "I'd to Me," read by Messerli, along with Diane Ward and Charles Bernstein, which ably captures the "multitude of voices" the poet seeks to achieve in his work. Clicking on the title above takes you directly there. This reading is but one of many treasures from the Segue Series' earliest years at the Ear Inn. In addition to the new recordings we posted last week, you can also find readings by Susan Howe, Lorenzo Thomas, Nick Piombino, Tony Towle and Anne Waldman, among others. Recorded October 6, 2007 at the Bowery Poetry Club, these readings highlight recent work by Jennifer Moxley and Maggie O'Sullivan, two poets well-represented in PennSound's library. Clicking on the title above takes you directly to the reading on our Segue Series page, however, you'll want to check out the poets' individual PennSound author pages as well. On Moxley's page, you'll find a 1995 Segue Series reading from the Ear Inn, plus a lenghty selection of poems recorded as part of Radio Poetique's Poetic Brooklyn, along with several singles. Maggie O'Sullivan's features a 1993 reading from SUNY-Buffalo, two Close Listening programs recorded this past October, and links to "Suddenly Everyone Began Reading Aloud" — one of the fall's most exciting programs at UPenn, which we'll highlight in greater depth tomorrow. Organized by UPenn student Matt Abess, this two-day tribute to the concrete poetry and sound-texts of the late Bob Cobbing was one of the most ambitious and highly-anticipated events of the fall season, and PennSound has complete coverage of it. We begin with the opening-night reception for "Make Perhaps This Out Sense Of Can You," an exhibit of Cobbing's eye-catching visual texts, running at Penn's Van-Pelt Dietrich Library through December 16th. The hour-long recording includes commentary from Dan Traister and Al Filreis from the university, along with Abess and Ruth and Marvin Sackner, founders of the The Sackner Archive of Concrete and Visual Poetry (which prominently features Cobbing's work). Recorded the following evening at the Kelly Writers House, "'Suddenly Everyone Began Reading Aloud': A Celebration of Bob Cobbing" features performances by cris cheek and Maggie O'Sullivan — friends and contemporaries of Cobbing — who are joined by Abess, Marvin Sackner and Charles Bernstein for a roundtable discussion on the poet's life and work. Also included is a brief interview with Bob Perelman and Ron Silliman, discussing Cobbing with Al Filreis after the tribute. In addition to these two events, you'll also find a broad retrospective of the Cobbing's work on his PennSound author page. Compiled by curator Matt Abess, these recordings, spanning nearly four decades, include official album releases, live performances, radio interviews and numerous collaborations . Taken together, these audio documents serve as a fitting tribute to a prodigious and pioneering sound poet. 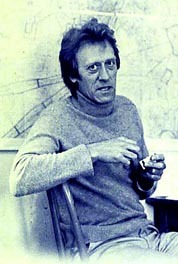 Click on the title above to begin your crash course in Bob Cobbing. 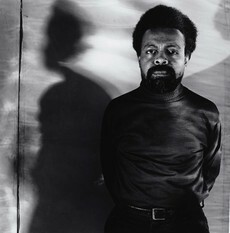 Always a vital and controversial figure in American poetics, Amiri Baraka has undergone numerous changes in the nearly-fifty years since he began publishing the influential mimeographed journal Yugen (co-edited with his wife, Hettie Cohen) in 1958 — mirroring changes in the society at large. PennSound's Baraka author page features a wide array of recordings which track this evolution throughout his long career. Clicking on the title above takes you directly there. The centerpiece of the collection is a pair of early readings (from 1964 and 1965), which capture Baraka in a moment of great transition — the latter recorded less than two weeks after the assassination of Malcolm X. Still known as LeRoi Jones, yet breaking away from his friends among the Black Mountain, New York School and Beat writers, along with his first wife, his breathtaking performances of poems such as "Black Dada Nihilismus," "A Poem Some People Will Have to Understand," "Black Bourgeoisie" and "Poem for Half-White College Students" reveal a poet seeking to explore the state of race relations on both the personal and national level, along with his own identity and place within the conflict. As he observes in "Short Speech to My Friends," Baraka "address[es] / the society / the image, of / common utopia." These readings are augmented by a selection of additional tracks, chosen by William J. Harris (editor of The LeRoi Jones / Amiri Baraka Reader), which demonstrate the breadth of Baraka's later work: from jazz-influenced paeans like "In Walked Bud" and "For Pharaoh Sanders" to his collaboration with the Sun Ra Arkestra, "A Black Mass;" from the hip-hop observations of "The X Is Black (Spike Lie)" to a postmodern remix of "Black Dada Nihilismus" by DJ Spooky, not to mention intimate delights like "Pressure to Grow" and "Wooden Negroes Appear at a Slam." Unapologetic and uncompromising, Amiri Baraka is a true American original, and we are proud to be able to present his work. Recorded , December 24, 1913 at the laboratory of Abbé M. Rousselot, these three brief recordings offer a rare opportunity to experience the work of germinal Surrealist author Guillaume Apollinaire through his own voice. "Le Pont Mirabeau," "Marie" and "Le Voyageur," all taken from his first significant volume of poetry, 1913's Alcools, reveal both a strengthened sense of rhythm and a lyrical, elegiac tone, when presented in the original French. Clicking on the title above takes you directly there. Though most of the poems offered on PennSound are presented in English, you might be surprised at the number of multi-lingual readings available on the site, including Russian works by Sergei Gandlevsky & Vladimir Mayakovsky, Serbo-Croatian poems by Dubravka Djurić, Spanish-language performances by Reina María Rodríguez, and David Wallace's renditions of Chaucer's Middle English. We're proud to announce the addition of a new PennSound author page for conceptual poet and editor, Craig Dworkin. Click on the title above to hear a 2004 Segue Series reading from the Bowery Poetry Club, where Dworkin reads from his own Strand (2005), along with two selections from Words to Cover a Page: The Early Writings of Vito Aconcci (2006) (a volume he edited for The MIT Press) and a brief excerpt from Jackson Mac Low's Barnesbook: Four Poems Derived from Sentences by Djuna Barnes (1996). Dworkin's own work is more richly apprehended when contextualized alongside the works of two of his influences, and that process of literary lineage is accentuated when those works are delivered through Dworkin's voice. 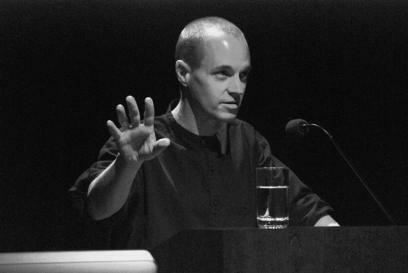 Also included on the page is "Paradisiacal Signifiers," a translation of Haroldo de Campos' "Signantia Quasi Coelum," which was presented at "A Night of New Translations" at the Kelly Writers House on September 14, 2004 — a program which also included Eugene Ostashevsky and Marcella Durand. Exploiting the promise of technology to maximize expressive possibilities, "Mid-Air Conversations" re-envisions poetic composition in the 21st century. Hazel Smith's "motile and spatial algorithimic speech piece," does so taking full advantage of Max/MSP — interactive audio-visual manipulation software most famously used by the likes of Radiohead, Pauline Oliveros and Aphex Twin — to create a fragmented, three-dimensional soundspace. Programed by Roger Dean, and performed by Dean and Greg White, "Mid-Air Conversations" approximates the "cocktail party effect," as strands of language and stray phonemes rush at the listener from all directions. Smith explains that the "Mid-Air Conversations" "explore[s] a variety of locations or historical situations," from the Apollo moon landings to the London bombings, and the overall tone is one of panoptic post-colonial paranoia. Likewise, questions such as "has your e-mail been censored?" and "has your password been hacked?" are given additional gravity when one is sitting at her computer, listening to the piece. Mixed for quadraphonic sound, "Mid-Air Conversations" is presented in Quicktime as a sound-only movie, however, it will also play automatically in stereo. To listen to Smith's work, and for more technical details, please click on the title above. Another treasure from the private reel-to-reel tapes of the late Robert Creeley, this is now the earliest document in our Ed Dorn collection. Recorded February 2nd, 1973 at Toronto's A Space Gallery, Dorn reads a number of recent works, including the pointed and hilarious litany "An Ecological Prophecy," and sections from 1971 (a collaborative day-by-day record of that year). The convivial spirit of the time is demonstrated by babies cooing in the audience and the barking of dogs which accompanies the audience's applause. Clicking on the title above takes you directly there. 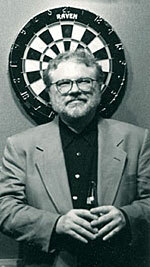 This early reading is but the latest addition to PennSound's Ed Dorn author page, which includes two recordings of his most famous work, Gunslinger (one of them a studio recording for commercial release), as well as a lengthy 1984 reading in Milwaukee, showcasing Dorn's latter-day books, Captain Jack's Chaps and Abhorrences. There's also a 1974 reading from the University at Buffalo. As Dorn receives a well-deserved popular resurgence — through the publication of Way More West: New and Selected Poems and Ed Dorn Live: Lectures, Interviews, and Outtakes earlier this year — we are proud to be able to present such vivid evidence of his artistry. The PennSound Podcast series is now up to #7, featuring ruminations on the poetry of former US Poet Laureate Donald Hall, and the prominence of death and mortality in his work. Previous podcasts have showcased the work of Jerome Rothenberg and Jena Osman, among others, and PennSound Podcast #6, discussing the pedagogical implications of the PennSound project, is essential listening. The PoemTalk podcast series, a joint project of the Poetry Foundation and the Kelly Writers House, has just launched, with episode #1 — a discussion of William Carlos Williams' poem, "Between Walls featuring Al Filreis, Linh Dinh, Randall Crouch and Jessica Lowenthal. Future episodes will highlight the work of Ted Berrigan, George Oppen, Adrienne Rich and Allen Ginsberg's performance of William Blake. We're proud to announce the addition of three new recordings by the inimitable American Objectivist, George Oppen. The first, recorded in Buffalo on November 30, 1966, features a complete reading of Oppen's masterpiece, "Of Being Numerous," along with poems including "Power, the Enchanted World" and "Route." An excerpted version of "Of Being Numerous" also forms the heart of a July, 1973 reading at the University of East Anglia in Norwich, England, and altogether, there are now five recordings of that key poem in the PennSound archive. The Norwich recording also features "Anniversary Poem," "The Forms of Love," "Song, the Winds of Downhill" and "Anniversary Poem," along with a seventeen-minute discussion with Eric Homberger. "Song, the Winds of Downhill" is also included in our final recording, a compilation of poems recorded at San Francisco State University between 1966 and 1973. This extended set includes forty-five poems altogether, providing listeners with a generous introduction to Oppen and his work. Furthermore, the Oppen collection provides an excellent opportunity to compare not only recordings from different eras, but also different recordings of the same poems, for the illuminating variations they might provide. 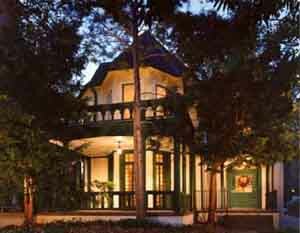 Cohosted by Tom Devaney and Al Filreis, this event was originally broadcast live on the web, October 30, 2002, with the poet phoning in to the Kelly Writers House from his home in San Francisco. PennSound's Rakosi author page has ten poems from the celebration, including "Love America, Uncle Sam Needs You," "How to be with a Rock," "Go Preach Christ," and "In What Sense Am I," which Filreis praises for "captur[ing] more precisely and interestingly than any other poem I know what it's like to outlive oneself, 'a minor observer / as in a dream.'" There are also links to a page for the event on the Writers House website, which includes a streaming version of the entire broadcast, as well as background information, introductory comments, and some instructive quotations from Rakosi on his poetics and the social milieu of the 1930s. Clicking on the title above takes you directly there. PennSound's William Carlos Williams author page, which features the poet's complete recorded output (as compiled by Dr. Richard Swigg of England's Keele University) has just become more complete: all readings have now been segmented into individual files. From a 1942 reading for the Columbia University Press Contemporary Poets series, to a pair of interviews with Stanley Koehler, recorded less than a year before Williams' death, there are approximately four hundred files available, from thirty-three different dates. All of Williams' best known poems — including "The Red Wheelbarrow," "This Is Just to Say," "To Elsie," "The Dance ('In Brueghel's great painting...')" and "The Yachts" — are available in multiple versions, along with generous excerpts from longer works such as "Asphodel, That Greeny Flower" and Paterson. There are also several hours worth of interviews, lectures and conversations, and when poems were read as part of these programs, they have broken out into individual singles as well. Our hope is that this segmentation will make our Williams page an even more useful educational resource for students and teachers alike, providing them with the opportunity to make playlists of selected poems, listen to different renditions of the same work (often separated by decades) and hear the poet discuss his intentions and inspirations in a number of venues. 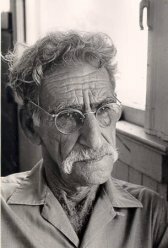 Of course, non-academic listeners will also derive the same benefits — above all, the opportunity to hear some of the most influential poetry of the 20th Century, delivered in the poet's own voice, with all its idiosyncratic tics and traits, along with the gradual weariness brought on by old age. Click on the title above to visit our William Carlos Williams author page, and begin exploring. 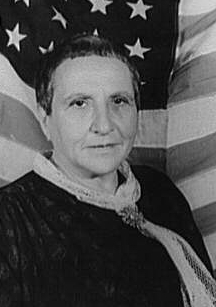 Continuing our recent highlighting of some of the more exciting Modernist holdings on PennSound, we turn our attention today to our Gertrude Stein author page. Edited and annotated by Ulla Dydo, the author of Gertrude Stein: The Language that Rises : 1923-1934 (2003) and editor of A Stein Reader (1993), the page contains eight all-too-brief excerpts, most of which were recorded in New York City during the winter of 1934-35, along with a contemporary interview at the Algonquin Hotel. Pieces such as "A Valentine to Sherwood Anderson," "The Fifteenth Of November . . . T. S. Eliot," "Matisse" and "If I Told Him: A Completed Portrait of Picasso" speak both to Stein's particular gifts as a writer, as well as the prodigiously fruitful artistic environment of Paris in the early 20th Century. "Repeating then is in every one," Stein professes in an portion of The Making of Americans available here: "in every one their being and their feeling and their way of realising everything and every one comes out of them in repeating." Stein's highly-recursive aesthetic is embellished through the vehicle of her voice, which adds warmth and subtle variation to her iterations — and though it's perhaps an unintended effect imparted by the medium itself, the low rumble of static beneath her voice leads one to imagine a skipping record. We're glad that these early recordings have been preserved, and are proud to be able to share them with listeners at the start of a new century. Introducing his friend and compatriot Charles Reznikoff at a reading at the San Francisco State Poetry Center in March 1974, George Oppen observed, "I don't know of any poems more pure, or more purely spoken, or more revelatory." The nearly hour-long reading which follows is stripped to its essentials — Reznikoff avoids poetic artifice or pretense, delivering his urban observations in a direct, intimate style, and begs off applause so that he might have time to read more poems. He would die less than two years later, and this late reading afforded him the opportunity to look back over his long and hard-fought career, a lifetime of lived experience conveyed on the page. The San Francisco State reading is just one of the recordings you'll find on Reznikoff's PennSound author page. A 1967 reading at the 92nd Street Y features many of the same poems ("Scrubwoman," "The shopgirls leave their work," "Cooper Union Library," as well as his pair of introductory "platform" poems), and ends with a few selections from his found-poetry masterpiece, Testimony, along with his great benediction, "Kaddish," which are appended as a separate file. An hour-long appearance on Susan Howe's WBAI radio program, "Poetry Today," includes an excerpt from Holocaust, as well as a series of poems investigating New York's many ethnic factions. PennSound's Reznikoff collection concludes with more than two hours worth of informal interviews conducted by Reinhold Schiffer at SUNY Buffalo in 1974, and a handful of miscellaneous poems from the same time period. Click on the title above to begin listening. PennSound has recently added Redoing Childhood, a CD by the late Kathy Acker released on the Kill Rock Stars label in 1999. Produced by Hal Willner (William S. Burroughs, Allen Ginsberg, Lou Reed), the album features musical accompaniment by feminist punk band Tribe 8, as well as David Cunningham (keyboards), Ralph Carney (reeds), Joe Gore (guitar), Steve Bernstein (trumpet) and Kenny Wollesen (drums), who slip effortlessly between time signatures and genres, providing a roiling bed of sound which perfectly complements Acker's seething delivery. Willner originally recorded Acker's contribution in 1993 — a time in which the recurring references to President Bush were a not-yet-faded memory of a graceless political era — and though she worried about the timeliness of such allusions during the general political torpor of the Clinton era, they're eerily fitting now, a decade after her death. On Acker's PennSound author page, you'll also find a 1978 Segue Series reading with Lorenzo Thomas at the Ear Inn, which features "'Stop It, Ted,' I Screamed When He Finally Released Me . . ." from Adult Life of Toulouse Lautrec, as well as several excerpts from Blood and Guts in High School recorded a full six years before that book was published. Clicking on the title above takes you directly there. Two new recordings of John Ashbery have just been added to PennSound. In 1992, Ashbery appeared on The Book Show, a radio program hosted by Tom Smith, and produced by the New York State Writers Institute. In this twenty-five minute program, the poet discusses the origins of his latest work, Hotel Lautreamont (including the influence of Comte de Lautreamont on the volume), as well as the inspiration for and composition of his recent long-form poem, Flow Chart. Smith then steers the conversation towards Ashbery's compositional habits, and his use of the English language, borrowing Saul Bellow's phrase, "the noise of the culture," to describe Ashbery's poetic raw materials. Ashbery declares, "I feel that I'm writing very democratically, in the Whitman sense of the word. 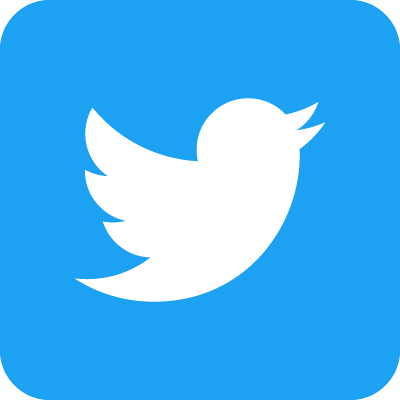 I want to get as many voices and segments of the population, segments of people's thoughts and my own thoughts, in the poem," and cites "all-inclusiveness" as his overriding poetic concern. We've also added a April 25, 1991 recording, billed as "Poets Reading in the Village," which features seven poems from Hotel Lautreamont — including "In My Way / On My Way," "Korean Soap Opera" and "Elephant Visitors" — and ends with a fifteen-minute excerpt from Flow Chart. All of these poems are available as singles. These two latest additions fill a gap, so to speak, between the portions of The Songs We Know Best recorded in 1988, and Ashbery's visit to the Kelly Writers House in 2002. We will be adding a number of additional readings in the near future, from tapes we've received from the poet himself, as well as from Robert Creeley's reel-to-reel collection. Originally founded by justin sirois as a record label specializing in avant garde poetry and prose, Narrow House Recordings, has since expanded to encompass hybrid audio/print projects. These four albums are some of the imprint's first releases, and have been available on PennSound for some time, however we thought they deserved a second look from our listeners. Pictures for Private Devotion, a 2003 album by Anselm Berrigan features a number of his earlier poems, including a lengthy excerpt from Zero Star Hotel. On Berrigan's PennSound author page you'll also find a Segue Series reading from the Bowery Poetry Club. 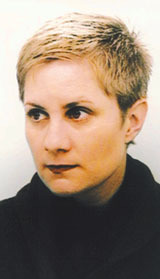 Recorded at St. Mary's College in 2004, Women in the Avant Garde features readings from Laura Elrick, Heather Fuller, Deborah Richards, Carol Mirakove and Kristin Prevallet, who recently contributed extensive notes on Helen Adam's San Francisco's Burning to the Adam author page. Rod Smith's Fear the Sky, released in 2005, is but one of many recordings you'll find on his PennSound author page, including Segue Series readings from 2001 and 2006, a 1998 appearance on Poetry and Empire: Post-Invasion Poetics event at the Kelly Writers House, as well as his reading as part of the Flarf Poetry Festival at UPenn this past February. 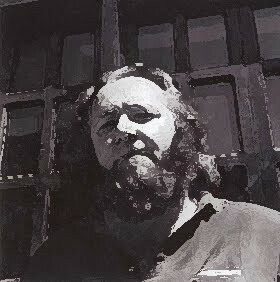 Finally, Buck Downs' Pontiac Fever — released in 2006 as a limited-edition "chapdisc" — crosses the minimalism of Richard Brautigan with the Minutemen's economy, squeezing thirty-six poems into a seventeen-minute session, which is split into two sections: "Pontiac Fever" and "Ladies Love Outlaws." Click on the title above to visit PennSound's Narrow House series page where you can find links to all of these recordings. "The advent of audio on the net promises to make available the sound of poetry in a way that has been previously stymied by the dearth of readily available audio recordings." Though preliminary forms of the project existed as early as 2003, PennSound officially launched three years ago today, on January 1st, 2005. On our third birthday, we invite you to revisit some of our founding documents, including the PennSound Manifesto and our Launch Press Release. You can also take a look at many of PennSound's previous incarnations, via the Internet Archive, including this very early (and now scant by comparison) list of featured authors from around the time of the site's launch. 2007 has been a year of tremendous growth for PennSound — including the additions of monumental recordings from Ezra Pound, William Carlos Williams and John Ashbery, among others; groundbreaking radio programs such as Susan Howe's shows on Pacifica Radio and In the American Tree; exciting readings at the Kelly Writers House; and the release of materials from Robert Creeley's private tape collection, as well as the launch of the PennSound Daily news feed. Altogether, there were more than 10,000,000 downloads of the approximately 10,000 files hosted on our site. We hope to build upon these accomplishments in 2008, with additions to popular series such as Close Listening, Cross-Cultural Poetics and the PennSound and PoemTalk podcasts, as well as a number of exciting new poets and series, which we'll be announcing as the new year progresses. We'd like to take the opportunity to thank our listeners for their continued support and wish them a very happy and healthy new year.